The institute’s recommendation of cash or in-kind benefits for cyclists isn’t the first of its kind. 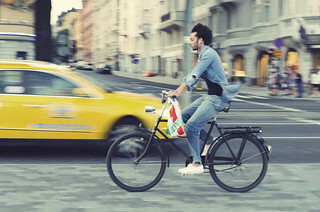 Several European countries have lined up various incentives and benefits to get people on to bikes—most notably an experiment in France last summer where a control group of 10,000 employees were paid €0.25/km to cycle to work. This had only limited success, partly because commuters still had access to free parking. Given that the habits the scheme tried to discourage were heavily ingrained, the reward itself was also arguably on the low side.